2 What are shoe trees? 3 Are shoe trees really necessary? 4 Which shoe trees are the best? 13 Do you really need a pair of shoe trees? Nowadays when people buy an expensive pair of shoes they are realizing that it requires extreme care as well. Shoe care products such as shoe stretcher and shoe trees are essential to keep the shape of the shoes intact. Actually, not only expensive ones but every shoe requires ultimate care for extended longevity. Many people still consider buying a shoe care product as an unnecessary expense; however, it is important to keep them in amazing shape. Shoe trees are the tool or instrument that is inserted into the shoes to keep the shape intact. The tool helps in preventing the building of cracks and creases in the shoes. The tool is available in various shapes and sizes for both men and women shoes. While some of the footwear trees are designed to stretch shoes, some are designed only to maintain the original shape and size. Shoe trees are available in two types; adjustable and one-size. Shoe widening to increase the width of the shoes only. Instep is stretching to increase the height of the instep sole for comfortable wear. As the name says, single size trees do not adjust the size of the shoe but maintain the single size only. It is designed to maintain the original shape and size of the shoes only. It is usually used for dress shoes. Are shoe trees really necessary? When you wear shoes for a long time, the original size of the shoe also changes. At times when you are not using the shoe for a longer period, the footwear trees help in maintaining the original shape and size of the shoe. The footwear trees help in lowering the process of creases development in the footwear as well. Since your feet may sweat when you wear shoes, a good amount of moisture build-up inside the footwear? The wooden shoe tree helps in absorbing excess moisture and lets the shoe perspire. This keeps the shoes from smelling and increases the longevity as well. The footwear trees are an extra pair of hands that hold on the shoes while polishing. Since the trees keep the shape intact, it helps in giving some shine to the shoes with polish. When you buy an expensive pair of dress shoes, it becomes necessary to care them and buy the footwear trees for maintenance. 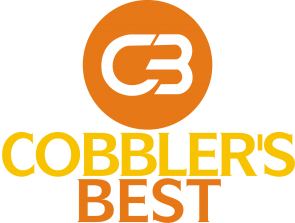 Which shoe trees are the best? The boot trees are most effective when it is used on a regular basis. Before understanding which footwear trees is best suited for you, it is important to understand the different tiers of shoe trees available in the market. People, who don’t want to invest in an expensive pair of shoe trees but want to have one, can buy cheap footwear trees. If your shoes are less expensive, then you can buy these footwear trees for as low as $15. The cheaper ones are not made of fuller wood; rather they are made of thin layer of wood that fulfils the necessity of a shoe tree. The cheaper ones are usually made of plastic and help in marinating the shoe’s size but do not absorb moisture. 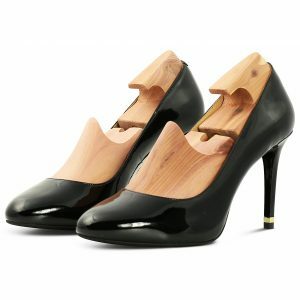 If your shoes cost more than $200, then they definitely deserve good quality wooden shoe trees. Quality footwear trees have adequate ventilation holes to dissipate moisture and keep your shoes breathing. This tool provides the closest fit to the shoes and is made out of cedar wood. They are a great help in polishing the shoes. High-end brands like Prada and Gucci have their own footwear trees range that is accompanied by the shoes. The Lasted ones are the cedar wood crafted exclusively for your expensive footwear. The designer footwear trees are made out of best quality cedar wood that gives a complete fit to your pair of shoes. As the name says it all, these footwear trees are made of plastic and suitable for people who are travelling. They are light in weight and foldable to fit into your suitcase. Made specially to add convenience while travelling, these trees range between $10-$15. After learning about the types of shoe trees that are used for different purposes, it’s time to know what material is used to make the best footwear accessories. Shoe trees are basically made of wood but are also available in metal and plastic. Compared to other materials, wooden shoe trees are more durable and offer extra benefits. Cedar is an aromatic wood that absorbs moisture and keeps the shoe odor-free. Unfinished cedar woods are the best material that is used to make a shoe tree. They keep the shape and size of the shoes intact and help in retaining the freshness as well. They actively absorb the moisture caused due to excessive sweat or perspiration. The cedar wood is adjustable and solid. The plastic footwear trees are an affordable counter-part of the cedar ones. They are less expensive, durable and flexible at the same time. However, they don’t give protection against moisture and odor at the same time. These footwear trees are great for travelling purpose and comfortable for travellers. The metal counterparts of the wooden shoe trees are solid and durable at the same time. However, they are used only to maintain the shoe size. They do not absorb moisture and has no take on our as well. They are helpful while travelling as they do not collapse and maintains the structure of the shoe intact. Cedar wood shoe trees have some convincing benefits over its plastic counterparts. However, plastic shoe trees are equally beneficial at times. Below is a brief discussion that evaluates the benefits of both the shoe trees. This discussion will help you decide which one is best suited for you. The cedar shoe trees have great antibacterial properties that absorb the moisture and keep the shoe bacteria free. The cedar insoles or cedar wood shoe trees are an anti-bacterial foot product that has been popular nowadays. High-end brands like Prada and Gucci have their own shoe trees crafted out of cedar wood since they help in retaining the freshness of the shoes as well. Helps in absorbing moisture and keeping the linings bacteria free. Kills of the microbes that caused a foul smell in the shoes. Adds pleasant odor in the shoes and keeps the freshness intact. However, despite the benefits, the user must remember not to share the wooden shoe trees with anybody, because the bacteria are transmitted when the user is changed. They are not flexible, and you have to buy different trees of various sizes. The plastic ones cannot absorb the moisture and do not have any anti-bacterial properties. They do not retain the freshness and does not make the shoes odorless. The plastic footwear trees are used only a short span of time. On the basis of the points above, it is clear that the wooden shoe trees are best to use if you want to retain the longevity of the shoes. However, the plastic ones are good only for travelling purpose. 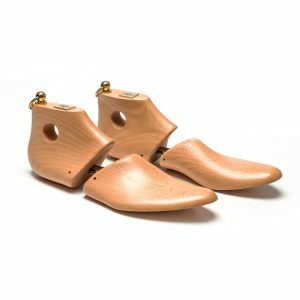 As you know shoe trees are a great way to maintain the shape and size of the shoes, they are great in keeping the structure of the heels as well. Women shoes come in various shape and heels sizes. The women trees easily slide into the shoes slip on and heel and prevent any creases from forming. They avoid any subsequent damage to the heels as well. The women shoe trees are available in cedar, plastic and foam material. The women shoes, heels, and silhouettes are made of delicate material keeping in mind the softness of the feet. Thus the show trees are crafted in such a way to keep the softness intact and absorb the moisture as well. The cedar shoe trees help in preventing any odor or bacteria formation as well. These effective tools are suitable for flats, high heels, and boots and travel shoes as well. The variety of shoe trees is crafted to suit the women speciality shoes of all shapes and sizes. Men’s shoe tress is designed to suit all types of men shoes. Whether they are boots, dress shoes or leather suit shoes, they are created to fit perfectly inside all types of shoes. These shoe trees are designed to suit the needs of men who love to dress themselves up and demand high maintenance of the shoes. There are wood shoe trees and plastic ones designed especially for the men shoes. Men who love to travel can opt for shoe trees made of plastic for travelling and retaining the shape of the leather dress shoes. Since most men sweat a lot, the wooden shoe trees suit them the best. Wooden ones have anti-bacterial properties that help in keeping the shoe odour free and fresh. They absorb the sweat and improve the longevity of the shoes as well. Usually, most of the shoe trees are designed with a spring-loaded feature that helps in inserting inside the shoes with convenience. You first need to slide the toe portion of the shoe and then a fellow by adjusting the heels inside the shoes. Shoe trees with stretchers can be adjusted according to the user’s size as well. Since shoe trees are available in various shapes and sizes, it is important to know your preference first. When you are buying high-end shoes from a branded store, they supply the trees along with the shoes itself. However, if you are buying by yourself, you can make the purchases online after going through the reviews and features. Do you really need a pair of shoe trees? Whether you buy a shoe stretcher or a pair of footwear trees, its importance is still a controversy for most shoe bloggers. However, they cannot deny the fact that maintenance of the shoes is equally important if they are expensive. It is absolutely necessary to keep them dry and maintain the shape of the shoes. The shoe trees not only maintain the shape and size of the shoes but also increase the lifespan of the shoes. They prevent any creases to form on the shoe and retain the shine as well. If you are a huge fan of your expensive shoes, then buying a pair of shoe trees will not be a big problem for you!